Did you know that there are only 30 more school days until exams? Don’t panic yet! There are still many opportunities to catch up and get help! Your teachers are available during the 12:05 activity period to assist you, and the wonderful EAs in Room 6 are there to lend a hand! And, if you need extra help with math homework, TVO is here to lend another helpful hand. 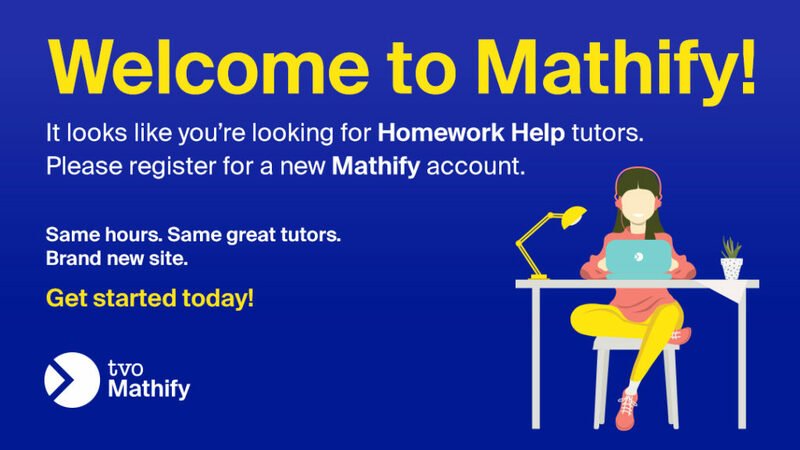 Get free online math help for grades 7 to 10 with Homework Help, an online tool that offers online chat, 24/7 resources, learning tools, and more. Simply head on over to their Mathify section and register for a free account. You and your math teacher will be happy you did!